Since the 19th century, finding a simulation model to describe turbulence perfectly has proven to be a bumpy ride. 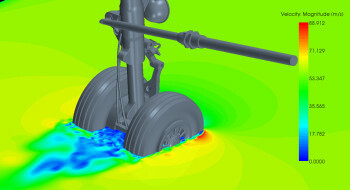 Despite this, engineers need ways to simulate turbulent fluid flow to optimize their designs for the real world. 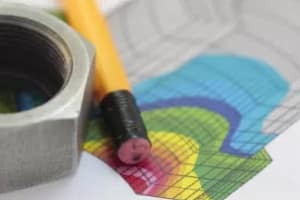 Various empiric or semi-derived turbulence models have been created to help engineers to find the best model to fit their system of study, but this process could take a lot of trial, error and physical testing. Unfortunately, engineers need more than just a short list to make a correct selection. 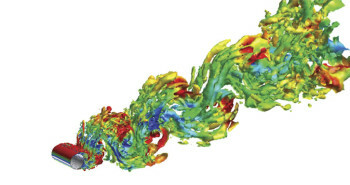 MIT professor Emilio Baglietto noted the importance of understanding the fundamental challenges, myths, fallacies, successes and failures of computational fluid dynamics (CFD) to determine a model with accuracy. Baglietto explained that the mission to find a general solution to turbulence is known as the turbulence closure problem. The aim is to close the Navier-Stokes and Reynolds stress equations that describe turbulent flow. The solution has remained elusive, as averaging nonlinear occurrences of fluctuating quantities will only create new unknowns without governing equations. Turbulence models attempt to close the system of equations that describe turbulent flows by devising new equations through experimentation or derivations for specific applications. Corson noted that in making a turbulent model, many assumptions are made to reduce the computational costs of the simulation. Based on the type of flow being modeled, different assumptions will be made. This has created a ballooning number of available turbulent models. 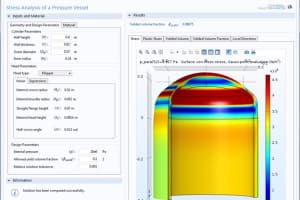 This can make choosing a CFD simulation software solution a considerable challenge for engineering teams because while more is not always an advantage, if your software has too few turbulence models then you might miss the one you need. The following is a list of turbulent model families and how they compare. The family of Reynolds-averaged Navier-Stokes (RANS) models is the largest in the field of turbulence. These models attempt to close the turbulence equations using viscosity terms. A common variable calculated in these models is k, or the kinetic energy per unit mass of turbulent fluctuations. Baglietto explained that there are numerous ways to perform these closures, but some are much more common and instructive than others. Typically, algebraic models have been used with either one or two equations. 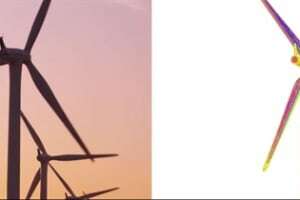 “Spalart-Allmaras (SA) is a one-equation turbulence model that has been developed specifically for aerodynamic flows such as transonic flow over airfoils,” said Baglietto. The model is based on kinematic eddy viscosity and mixing length. This mixing length defines the transport of the turbulent viscosity. Baglietto noted that this popularity is in large part due to the model’s robustness and fast implementation when modeling specialized flows. Spalart-Allmaras is not memory-intensive and has good convergence but it has no wall functions. 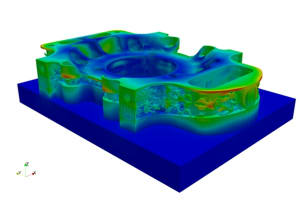 The model is also a popular addition to various CFD codes. 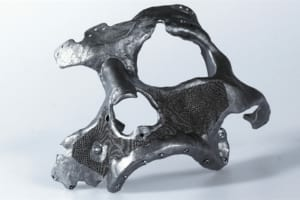 “When we look at the benefits and drawbacks, the Spalart-Allmaras model has historically been a strength … due to its speed and robustness,” said Corson. 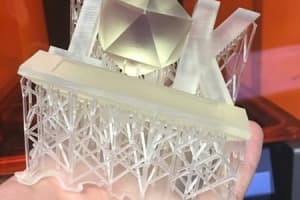 “In [the standard k-epsilon model] we solve for two variables, the turbulent kinetic energy, k, and the rate of dissipation of kinetic energy, epsilon [ε],” said Valerio Marra, marketing director at COMSOL. Marra explained that the model uses wall functions to analytically account for the fluid velocity in the viscous sublayer near the wall. The technique offers good convergence and isn’t memory-intensive. Marra also explained that the model is typically used for external flows with complex geometry. However, it is also a good general-purpose model. Baglietto noted that the equation for epsilon is postulated, so it isn’t perfect. Nonetheless, the model is used for the largest number of applications. This is partly because many of the model’s limitations are well-known. Despite this, the model is reliable due to its predictability and numerous variants that aim to improve the model for several applications. Perhaps the most famous variation of the model is the realizable k-epsilon model. 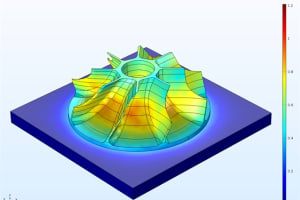 This variation modifies the equation for epsilon and introduces the effect of the mean flow distortion on turbulent dissipation. Malan clarifies that k-epsilon has also become the “de facto” standard two-equation model because its two-layer formulation has improved its applicability to well-resolved boundary layers. It also has improved results for complex separated industrial flows. Another popular modification is the renormalization group (RNG) k-epsilon model. The model was originally derived by attempting to solve for epsilon using the Navier-Stokes equation. The result was very much like the original equation. However, an update of the method added a term to the epsilon equation that accounts for the mean flow distortion of turbulence dissipation. The result is that RNG produces lower turbulence levels and can underestimate the value of k. This produces a less viscous flow that creates more realistic flow features with complex geometry. Though the method is popular, Baglietto notes that it gets on the nerves of many modeling veterans as it is more accurate for the wrong reasons. Another popular two-equation model pairs k with the specific rate of dissipation of kinetic energy, or omega (ω). Baglietto explained that the aim of the standard k-omega model is to model near-wall interactions more accurately than k-epsilon models. However, he noted that k-omega can over-predict shear stresses of adverse pressure gradient boundary layers and that the model has issues with free stream flows. The model is also very sensitive to inlet boundary conditions, which is a disadvantage not seen in k-epsilon. One variant of k-omega that has gained popularity, especially in the aeronautics area, is the shear stress transport (SST) model. 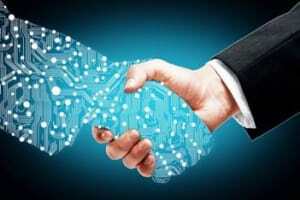 The model has gained this popularity based on its ability to predict separation and reattachment better when compared to k-epsilon and the standard k-omega. The SST model accounts for cross-diffusion which better marries the k-epsilon and k-omega models. 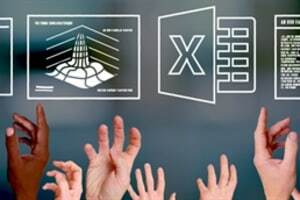 Using a blended function based on wall distance, engineers can include cross-diffusion when away from the wall but not near it. In other words, using the wall distance as a switch, SST works like k-epsilon in the far field and k-omega near the target geometry. 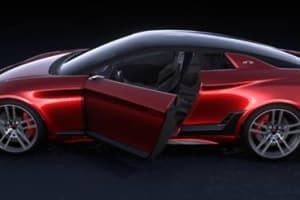 “Purists may object strongly that the blending function crossover location is arbitrary and could obscure some critical feature of the turbulence,” noted Baglietto. Clearly the model isn’t perfect; it also requires limiters to improve the prediction of stagnant regions of the flow. Additionally, it has issues predicting turbulence levels and complex internal flows and it doesn’t take buoyancy into account. 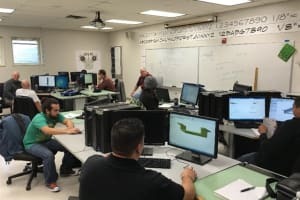 It seems that many engineers do prefer k-omega as all the CFD vendors interviewed have the SST model and most have the standard k-omega within their code. RANS models simulate all scales of turbulence and resolve none. Large-eddy simulation (LES) and detached-eddy simulation (DES) models, on the other hand, resolve the largest scales of turbulence and model the rest by use of sub-grid turbulence models or by blending with a RANS model. 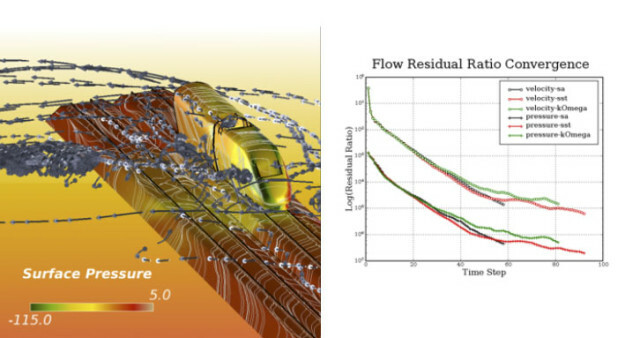 The LES model is used to predict large turbulent eddy structures when solving a CFD model system with a fine mesh. However, since turbulent scales are small near the wall, the model is unable to predict these regions with accuracy. 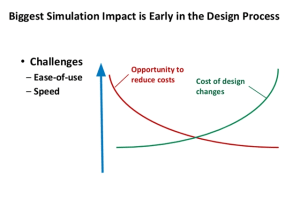 The biggest limitations with both the LES and DES models are their high computational and programming costs. 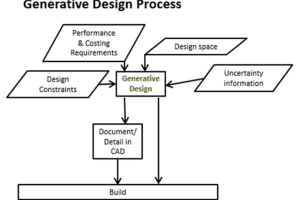 This likely explains why LES and DES models are not that popular with CFD software vendors. 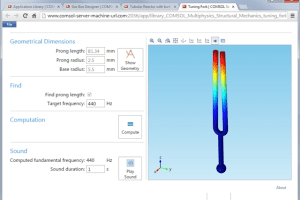 So if you need to use one for your application, choose your CFD software wisely. These models attempt to model the flow and terms directly in RANS equations. These models are based on the six equations that represent turbulent stresses. They represent the flow very well but at the cost of high computational work. They are typically reserved for flows that are extremely complex or have never been studied before. 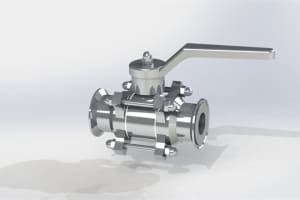 Due to the difficulty in using these models, they are not that popular with CFD vendor software. Therefore, engineers looking to use RSM will need to do their research, or read this eBook. So, How Do I Choose My Turbulence Model Again? Mann explained this with a great example; let’s say you want to look at the air flow around an airplane. Spalart-Allmaras would be a great choice in this instance because it’s tested and well-known for this sort of application. 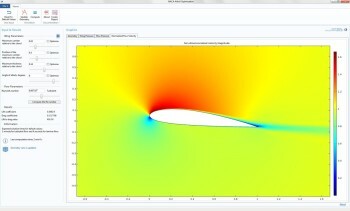 However, if you want to dig into your design further and determine the angle of attack that will cause the airfoil to stall, then Spalart-Allmaras is no longer the model of choice. 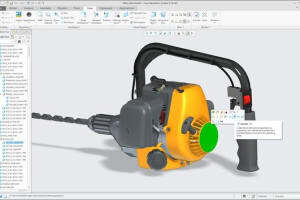 Other factors affect the choice of model such as the mesh resolution near the wall. This is because turbulent flow near the wall is different from that in the bulk. Normal to the wall, the flow is constrained and eddies become anisotropic; near the wall, the flow becomes laminar at the viscous sub-layer. This doesn’t fit many turbulent models that assume the flow is completely turbulent and isotropic. 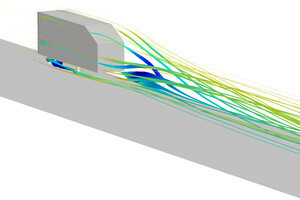 If the mesh is fine near the wall, the model will need to be compatible with near-wall turbulent flow. 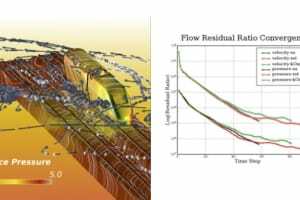 “Knowing how your chosen turbulence model deals with the anisotropy in the near-wall flow and in other features such as swirling flow is key to getting the best out of your model choice,” said Mann. Marra agreed that certain models treat the viscous sublayer and buffer layer differently through the usage of wall functions. These models will differ based on the number of variables solved, what these variables represent and the velocity and pressure values. 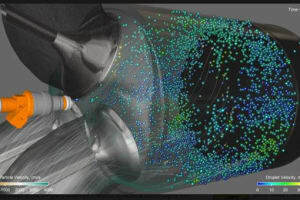 Corson explained that best practices at Altair include identifying the dominant feature of a turbulent flow and basing the choice of model on this feature. The engineer can then study how the model performs with situations and canonical flows where these features are dominant and compare the results to experimental data. Sometimes, an engineer will need to still use a computationally expensive model with limited computational power. 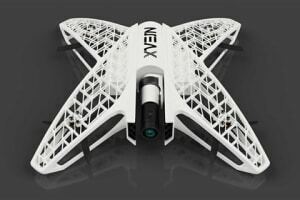 In these situations, Marra suggests a best practice of using boundary layer meshes at the wall and adaptive mesh refinements within the bulk of the fluid. This will help engineers to balance the accuracy they need with the computational power they have. But in the end, choosing the right model comes down to practice. 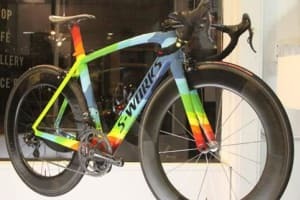 A seasoned CFD simulation expert might be able to look at an application and name off a few models of choice. They can then verify the correct model from the shortlist based on the convergence of the solution and mesh. However, no matter who you are or what you are simulating, it is always a good practice to verify that the turbulence model is producing results in line with experimental data. Even the best of us can get it wrong and it’s best to find that error early in development cycles. 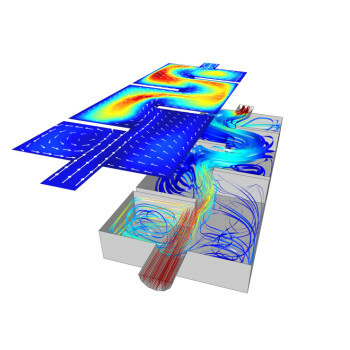 Once you have chosen a few potential turbulence models for your application, you will then need to ensure that these models are available in the CFD software you have access to. Otherwise, you might need to look to source a new CFD platform. To see what models are available from various CFD vendor software, check out the eBook: Turbulence Models Offered by CFD Simulation Vendors. 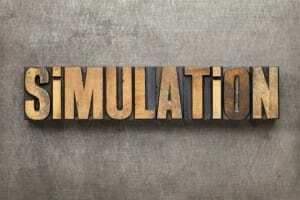 To learn more about Simulation, read: Current Overview of Simulation Technology.